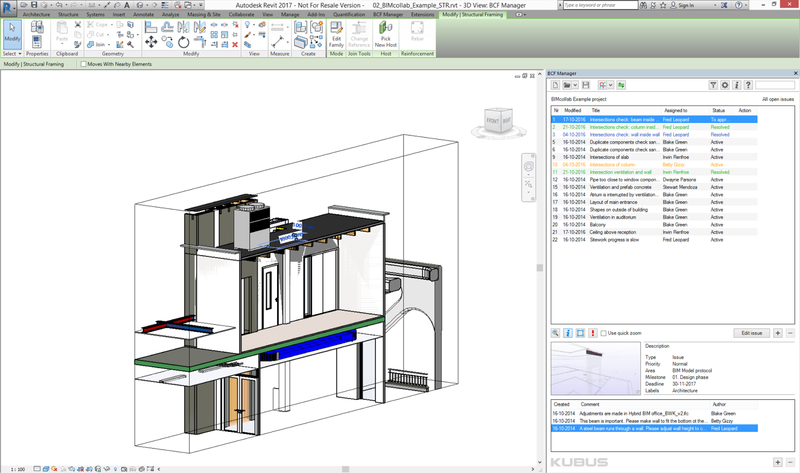 The new Revit add-on supports working in shared projects with multiple users. And also handles Survey points correctly in projects with shared coordinates. The add-on is made dockable in Revit 2017. From now on all issue properties and all features found in the web application (such as notify) are supported in all BCF managers. The new approval process is supported and the issue-filter is extended with Area. The BCF Managers by KUBUS add BIMcollab® connectivity as well as BCF file support to Autodesk® Revit®. 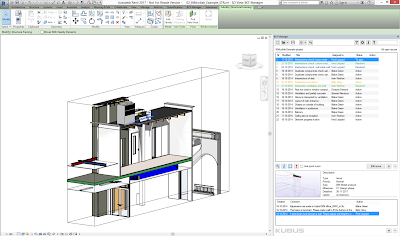 It provides the ability to create and modify issues and communicate these through BIMcollab or via BCF files (supports version 1.0 and 2.x) directly from within Revit®. Snapshots can also be added to an issue or a photo taken at the construction site. A BIMcollab “Free” account is included with the BCF Manager. Here issues can be published and managed in the cloud and shared with others direct from the plug-in or using the web interface. 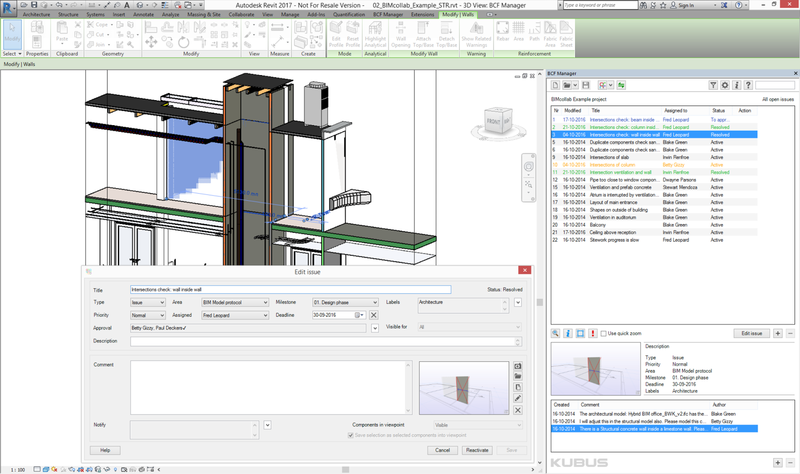 The BIMcollab BCF Manager for Revit add-in is brought to you by KUBUS BV. It's free!